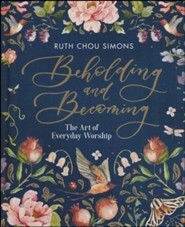 This beautiful guided companion to Ruth Chou Simons' Beholding and Becoming: The Art of Everyday Worship is a thoughtfully designed way to engage in deliberate soul-workto linger longer in God's Word and reflect on developing a deeper relationship with the Savior. Ruth Chou Simons is a bestselling author, entrepreneur, and speaker. She shares her journey of Gods grace intersecting daily life with word and paintbrush through an online shoppe at GraceLaced.com and her Instagram community of more than a hundred thousand. Ruth and her husband, Troy, are grateful parents to six boystheir greatest adventure. Ruth's first book, GraceLaced, won a 2018 Christian Book Award. 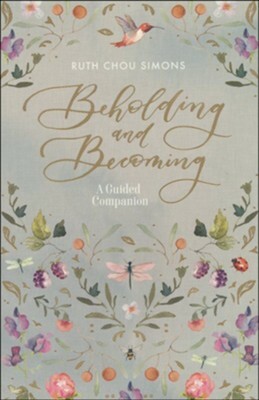 I'm the author/artist and I want to review Beholding and Becoming: A Guided Companion.